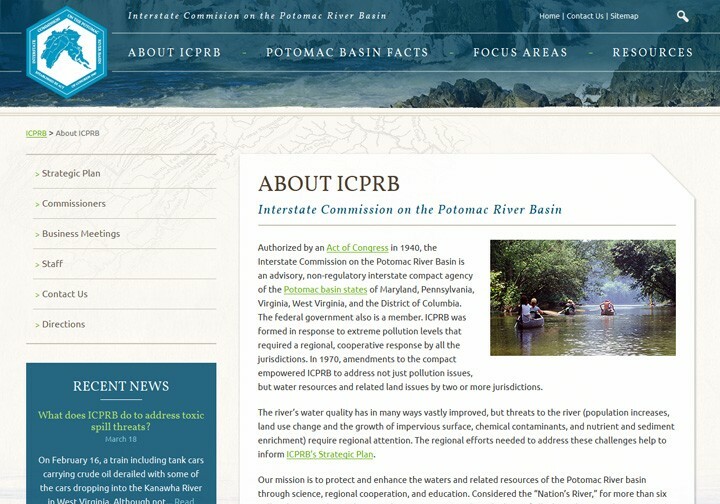 Interstate Commission on the Potomac River Basin - Wood Street, Inc. 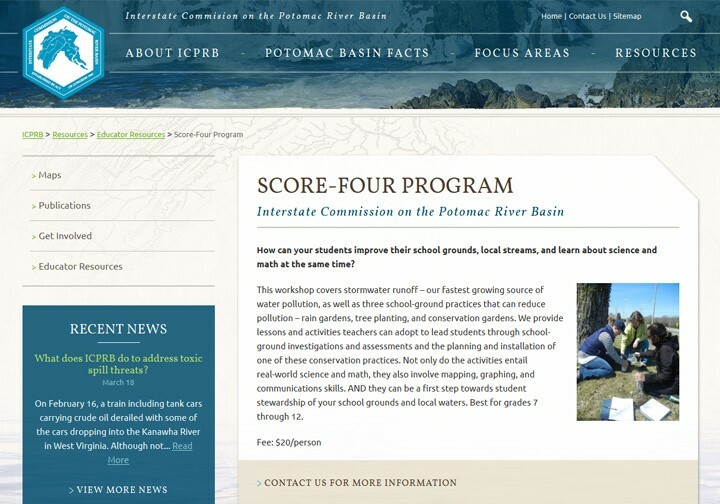 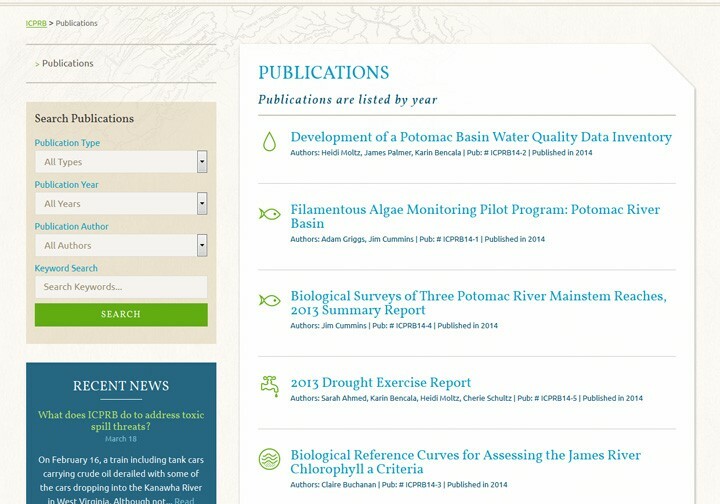 The Interstate Commission on the Potomac River Basin had not completely redesigned their website in some time. 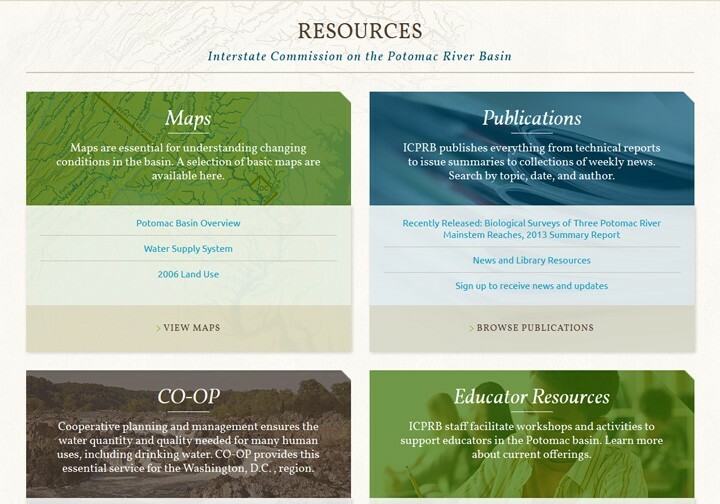 They were in desperate need of a new look and feel as well as technology upgrade. 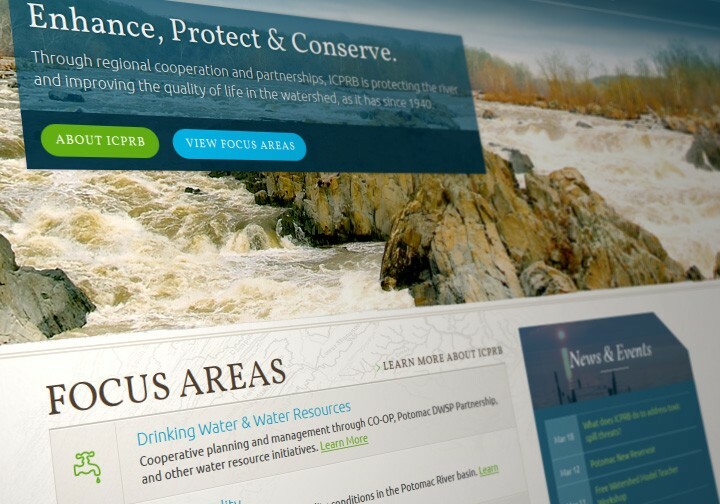 With the new website needing to target a few different audiences in the Washington, DC region, Wood Street needed to create an engaging design that provided easy paths to different content focus areas. 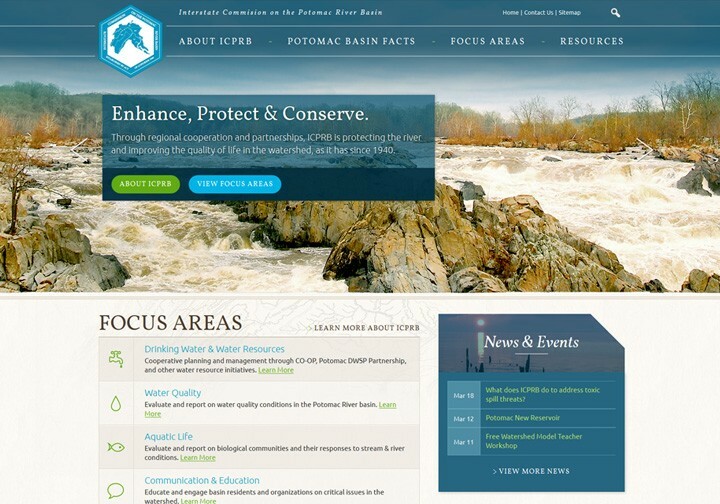 The newly designed and developed website has a custom look and uses WordPress as the Content Management System.